Those of you how get into some serious engine tuning might have heard the term 'blueprinting' before. Most people don't have a clue what this means exactly, because it isn't really every day practice or a very popular thing to do because of the costs and what you gain with it. It is a very time consuming and costly process that doesn't really give you any more power in return. So most people don't even get into it. But it can make a difference for a engine as you basically create the perfect base engine to start tuning from. When a manufacturer starts to design a new engine, they have to create the technical drawings with all the dimensions etc. first so the people behind the machines at the factory can fabricate the different parts needed to build the engine. These drawings are also known as the blueprints. The dimensions the engineers came up with for the different parts are known as the nominal dimensions. 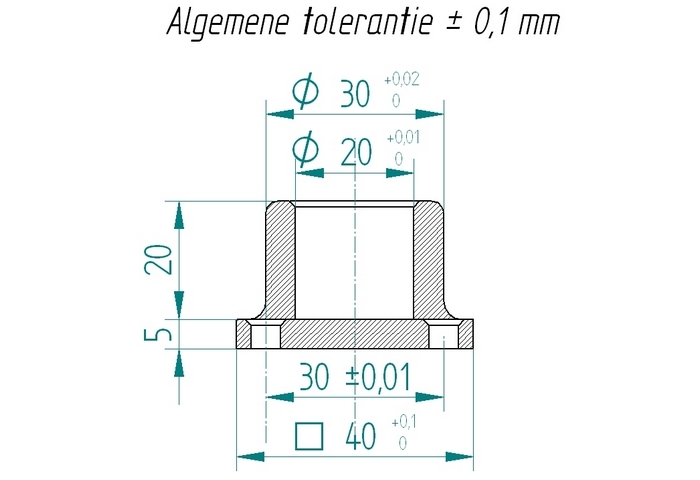 But they also have to specify a margin with these dimensions, the so called tolerances. The dimensions of a part can differ slightly above or below the nominal dimension without it being a problem. If they do fall outside these tolerances, the part will be rejected. It is practically impossible to fabricate a part to the exact nominal dimensions for several reasons. One machinist can be more precise than the other, the tools used to fabricate the part can be slightly worn, the material the part is made of can be tricky to machine and so on, and so on. It may sound like a sloppy fabrication process, but this is how it works in real life and the tolerances I am talking about here can be as low a tenths, hundreds or even thousands of a millimeter. 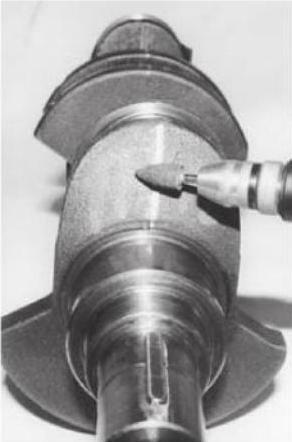 The closer you get to the nominal dimensions, the higher the quality of the fabricated part. A technical drawing with the nominal dimensions and the tolerances. Knowing this, we can look at what this means for blueprinting an engine ourselves. When parts for a engine are mass produced, it is inevitable that imperfections will develop in the parts. Casting a part doesn't really give us a neat, even surface and might leave a bit of excess material or burrs that aren't specified in the blueprints. The weight can also be slightly off as cast parts are not 100% identical to each other. This can be corrected of course. But it would be very time consuming and make the parts way to expensive if they had to check them all and correct the imperfections on every single part. Manufacturers of low volume, high performance, expensive and hand build cars might take this extra step to make higher quality parts, but form mass produced cars like the Toyota Corolla it wouldn't be very economical. As long as the parts fall within the specified tolerances, it will do its job and won't break during an acceptable lifespan. But when you start to tune a engine, you might get outside the performance window the manufacturer had in mind for that engine and its parts. And then blueprinting can make a difference in the lifespan of the engine and the parts used. It can take away the strain on some parts, make the engine more balanced and reduce wear. You can also make the engine more efficient because you are removing material and thus excess weight. It costs extra energy to get this weight to move. We are talking about grams here, and that doesn't seem like much on the total weight of some engine parts. But when rotating at high rpm's even the slightest weight saving can make a difference. All very good reasons to consider blueprinting an engine to get it to near as perfect as you can, despite of the extra costs and time it takes. When we start blueprinting, we want to get the individual parts as close to the nominal dimensions as we possibly can. To do this, we can start removing burrs and imperfections on the surface of the parts. Rotating parts like the connecting rods and pistons should be weight matched and if there are differences in weight, you should remove material until they do match. That way the rotating parts are more balanced and spread the strain on other parts more evenly. Blueprinting takes some real craftsmanship. Everything has to be done by hand, weighed, and measured meticulously. That makes it very time consuming and that in turn makes it expensive. Also take into account that when you start working on parts like the crankshaft and you remove material from it, that parts needs to be balanced again to compensate for that. And blueprinting is something that is best to be done be someone who knows what he's doing. When you remove to much material from the wrong place, the consequences can be catastrophic. Keep in mind that some of those parts can rotate up to 8000rpm and are subjected to tremendous forces. As said before, blueprinting itself probably won't give you any more horsepower in itself. But it does help to even the forces and loads the engine and its parts are subjected to. This will make it run nicer and more balanced an makes it a better engine to start working from. You need a good foundation to build from. If that foundation isn't solid, everything else can fall to pieces as well. And that in itself is worth investing in too.